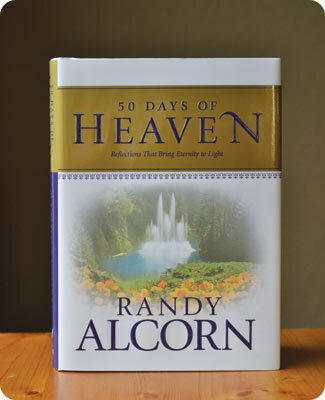 I just finished reading Randy’s book 50 Days of Heaven. After reading it I’m more convinced that I will go to Hell. Over 20 years ago I publicly stated my belief in Jesus, repented of my sins and was baptized. Since then I’ve tried to live the Christian life but failed. I have always been one to keep people at a distance, including my family. I really don’t like being around people and crowds and don’t care to have friends. I’ve tried and tried but I dislike participating and becoming involved in church. Thank you for confirming that my life does not jive with God’s plan. The only thing I can hope is for Him to be merciful and forgive this sinner. I appreciate you contacting us with your response to Randy’s book. From what you wrote, it sounds to me like you’re a Christian! Our salvation isn’t based on how much we like going to church or whether it’s easy or hard to form relationships. It’s solely based on the blood and resurrection of Jesus, and our relationship with Him. It’s true that the more we love Jesus the more we’ll want to be like Him and love people like He did, but life is a long road and we can only go one step at a time. Everyone who tries to live the Christian life fails. I’ve failed. Randy has failed. But God doesn’t reject us when we fail; He helps us grow. You expressed there are many things keeping you from the life God wants for you. God wants your life to be full of hope, love, peace, grace and forgiveness and so much more. If there’s persistent sin in your life I encourage you to do the difficult and painful thing of confessing it to a Christian brother and also the Lord. Seek His forgiveness, life and truth so that you may be healed and your life be abundant (James 5:16; John 10:10). God created humans to exist in community, but building relationships is hard work. If you don’t know where to start, I’d encourage you to set up a meeting with a local pastor. He’ll be able to understand where you’re coming from and have ideas about helping you become a part of true Christian fellowship. Ultimately it is God who heals, but believers really do need each other. “Bear one another’s burdens, and so fulfill the law of Christ” (Galatians 6:2). Enjoying being alone isn’t a sin, but we are called to love people and to be part of the local body of Christ. Extroverts love being around people as much as possible. Introverts don’t. I’m an introvert and function so much better as a person when I’m able to spend time by myself each day. Everyone has to find their own balance when it comes to these things. I sincerely appreciate your honesty and truly believe that if more people were honest about their struggles we would realize that we’re not alone when we feel such things. God longs to heal you and bring you closer to Him. Scripture says, “Draw near to God, and he will draw near to you” (James 4:8) and “You will seek me and find me, when you seek me with all your heart” (Jeremiah 29:13). I’ll leave you with Numbers 6:24–26, one of my favorite prayers of the Old Testament: “The Lord bless you and keep you; The Lord make His face shine upon you, and be gracious to you; the Lord lift up His countenance upon you and give you peace." Julia, thank you. You have no idea what your words meant to me. I never cry, but I couldn’t hold back the tears as I read your response. I have no doubt whatsoever that it was God speaking to me through your kind and encouraging message. One of the major things we do at EPM is connect with the people who contact us through email, phone calls, and mail. They may want to order books, tell us how God has used a book in their life, or ask a question related to an issue Randy writes and speaks about. We're grateful for the opportunity to respond in Jesus' name to those who contact us, as well as connect them with a local church and resources to help them in their walk with the Lord. When It Comes to Living the Christian Life, Where Do Our Efforts Come in? Scripture says, “His divine power has given us everything we need for life and godliness through our knowledge of him who called us by his own glory and goodness” (2 Pet. 1:3). So what do we need to live righteously that he has not given us in Christ? Nothing.